Shantadurga temple is dedicated to the Goddess known as Shantadurga who is known to be a peaceful form of Goddess Durga. According to legends, she settled a major dispute between Lord Shiva and Lord Vishnu amicably. 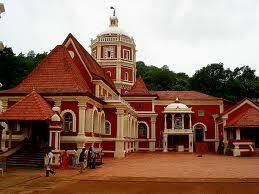 The temple is constructed beautifully and is located amidst scenic landscapes.